A newfound alien planet located “just” 16 light years away from Earth might be able to support life, a new study has shown. To get some perspective, the Milky Way is approximately 100,000 light-years across. The closest planet to our solar system is Proxima Centauri – 4.2 light-years away. A recent study concluded that there are likely billions of Earth-like planets in the Milky Way, but few of them are this close to us. Gliese 832c is a “super-Earth” – a rocky planet just like the one we live on, and but 5 times more massive. It lies much closer to its star than Earth from the Sun – it takes it just 36 days to make one full orbit around its star; however, because it orbits a much cooler red dwarf, Gliese 832c receives about as much energy as Earth does. Interestingly enough, despite all these differences, in a way, it’s very much like Earth. 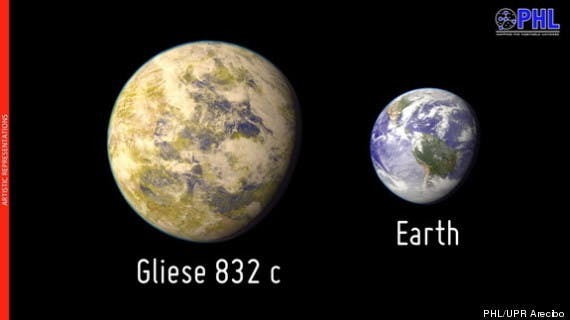 “The Earth Similarity Index (ESI) of Gliese 832c (ESI = 0.81) is comparable to Gliese 667Cc (ESI = 0.84) and Kepler-62e (ESI = 0.83),” Mendez wrote in a blog post today (June 25). (A perfect “Earth twin” would have an ESI of 1.). This makes Gliese 832c one of the top three most Earth-like planets according to the ESI (i.e., with respect to Earth’s stellar flux and mass) and the closest one to Earth of all three — a prime object for follow-up observations,” he added. Astronomers found this using a rather common technique in the field: they observe the tiny wobbles the planet’s gravity induces in the motion of its host star. They then used only three separate instruments to find out the planet’s location and mass: a Spectrograph on the Anglo-Australian Telescope in Australia, the Carnegie Planet Finder Spectrograph on the Magellan II telescope in Chile and the High Accuracy Radial Velocity Planet Searcher (HARPS) spectrograph, also located in Chile. Gliese 832c is actually the second planet to be found in its solar system, with the previous one, Gliese 832b found in 2009. However, that one looks more like Jupiter than Earth. “So far, the two planets of Gliese 832 are a scaled-down version of our own solar system, with an inner, potentially Earth-like planet and an outer, Jupiter-like giant planet,” Mendez wrote. 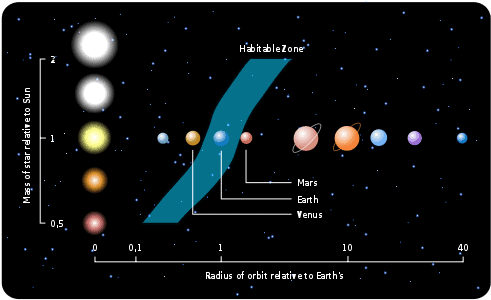 The habitable zone, also called the “Goldilocks area” is the sweet spot – the distance from a star at which a planet receives just enough energy to be able to potentially sustain life. However, just because a planet is in the habitable zone doesn’t mean it actually has life. That would be a huge stretch, and it is not one that should be made yet, with any announcement of this type.